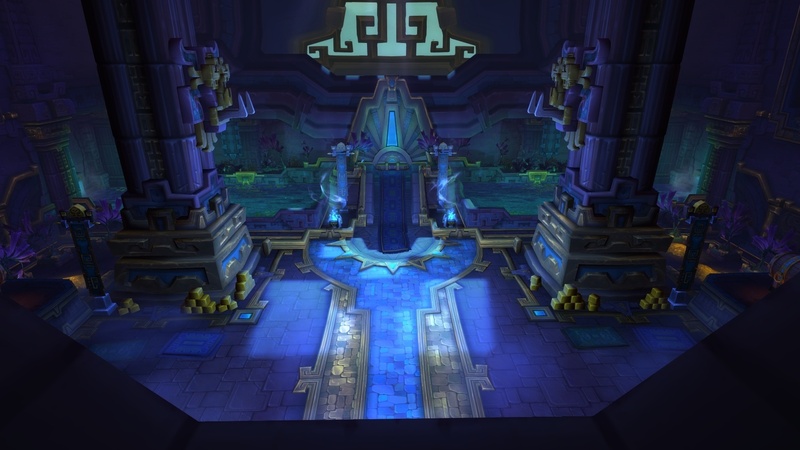 So, Zandalari will become available “after the Raid”, meaning like….when? March? Later even? Pretty sure Shamans will not see the promised, big remake in BfA. Like I said, Zandalari and KT are coming “after the Raid”, with patch 8.1.5, whenever that may be. I guess around mid April, possibly later. A raid tier takes months, usually. I really don’t know what you’re talking about since it’s been like this for every raid for ages. Every Legion raid at least was like this, first week normal and heroic, second week mythic and first wing of LFR, and then another LFR wing every two weeks. As for Zandalari and Kul Tirans, the timing of it all feels so wrong. I don’t understand why we have to wait for their story to be pretty much over and done with to play them? In Burning Crusade it was perfectly fine to play Draeneis and Blood elves right after they joined the Alliance and the Horde. It was even better with goblins, worgens and pandaren since we played them AS they were discovering those factions. Allied races, on that regard, make no sense. And if you tell me “Well you need to complete their chapters so you understand their story !”, it’s simply not true. For every original race from vanilla, you had no idea what you were stepping into, you had a forty seconds cutscene basically explaining you what your race stood for, and then you were in the game, discovering the identity of your race as you were playing. EDIT : It’s like if you had to play a nine month long game that explains to you the backstory of Mario to actually play Mario. It’s stupid. You know we got that promise that Flying would be released in 8.2 which might be June’July, but I am sure there will be more time gating and flying won’t actually happen until September 2019. Mark my words! People are being strung along every day! But where’s the important bit of content we want? When are the Zandalari Trolls coming out? All this time gating is BS. I’m already just leveling alts. Warfronts and Island exp. are repetitive. Did you even play the expansion before you released it? No, no. You have the screenshot first and below it what it’s about. It’s a confusing format so I can understand your mistake. It’d make more sense to be the opposite way, but, y’know, Blizzard and sense?